Click Here to download a PDF file of this information. 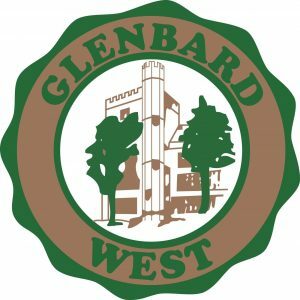 The Glenbard West staff is looking forward to this ceremony that will recognize the accomplishments of the Class of 2019. We know how hard they have worked to achieve their goals and prepare themselves for life beyond high school. Most have built relationships and connections within the school that will last a lifetime. We would like to emphasize the importance of exiting with pride and acknowledge that the most important tradition is for our seniors to end the school year with positive memories and enriching experiences. Our faculty and staff are hard at work planning a commencement ceremony that will allow your graduate and family members the opportunity to celebrate this special moment. As we look forward to this year’s culminating activities, we will maintain our expectations for serious work and proper behavior through the last day of student attendance. There have been unfortunate times when a graduating senior used poor judgment during these last days in high school and engaged in campus vandalism or improper conduct. Please realize that such behavior could jeopardize that student’s participation in the commencement ceremony and/or result in more serious consequences. This year we have held meetings with senior leaders to hear their concerns and make sure our expectations are known and clear. Also, remember that there are NO “ditch days” and students who miss school for unauthorized reasons will face academic and disciplinary consequences. We appreciate the support we receive from parents/guardians in maintaining a respectful and safe environment for all students throughout the school year. We look forward to sharing this commencement with our families and the Class of 2019. Commencement will be an occasion where we reflect the significance of their accomplishments and the pride we all feel on their behalf. Please contact me with any questions or concerns. Chris Mitchell, Assistant Principal (630) 942-7461. Wednesday, April 3, 2019 – Mandatory Senior Meeting in the Aud (7th period). iPads-Graduates that have rented their iPads for four years and have all obligations fulfilled, may keep their iPad as part of the rental program. Students that have not rented their iPad for 4 years, or have any outstanding obligations, must return their iPad. If these students wish to keep their iPad, they must meet all obligations in order to take advantage of the buyout option. Photographs- Gradimages is the official photographer for the Commencement Ceremony. Each graduate will be photographed and the proofs will be available for viewing soon after the event at www.gradimages.com. Senior Picnic- Starting period 6 on May 17 the entire senior class will come together to enjoy sharing memories, looking forward to graduation and eating some delicious picnic food. Senior Most awards will take place at the end of the picnic and Seniors will leave campus by 2:00 p.m.
Tickets- Each senior participating in commencement will have four tickets. Students can request up to four additional tickets by using by returning the extra ticket form by April 26. Have parent/guardian complete commencement participation form by April 26. Turn in your books/iPad and pay any obligations prior to May 16. Report for Graduation Rehearsal (May 21 in Biester) on time 11:30am. All students are to wear dress shoes. Do not decorate your cap and/or gown in any manner. If a student arrives in inappropriate attire, they will be asked to change or NOT march in the processional. Respect your accomplishment and your classmates as well by not drawing attention away from the event. Gates will open at 4:30 p.m; No guests will be admitted onto Duchon after 6:00 pm. Avoid bringing umbrellas or balloons in bleachers. There will be no prior saving of seats (first come, first serve basis). Hold your applause until all names have been read. We want everyone to hear each graduate’s name announced. Handicap parking will be on the northwest side of Duchon or lower District lot if there is rain – there will be helpers to assist.